At 8:00 PM two buses took off to the Tel Aviv airport for their flight home. A great time was had by all and warm goodbyes and farewells were shared among us. 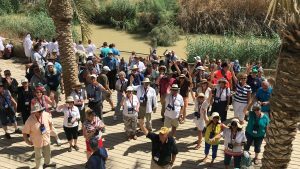 Ave Maria Holy Land Pilgrimage September 2017 from Steve Ray on Vimeo. You can also download it to a flash drive to watch on your smart TV here.